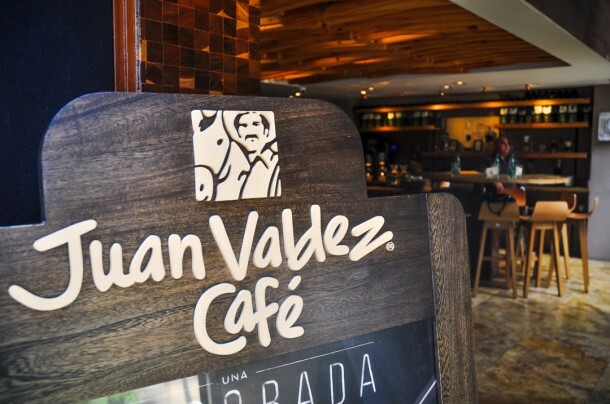 Juan Valdez, the smiling, mustachioed “cafetero” with his mule and sacks of coffee, is perhaps one of the most recognizable coffee brands worldwide. 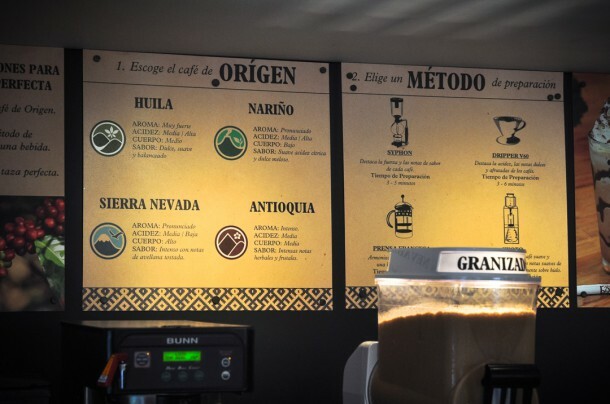 The character – portrayed by actual coffee farmers since the 1960s – is a proud icon of the 500,000+ Colombian small farm coffee producers who co-own the brand through the national federation of coffee growers (FNC). 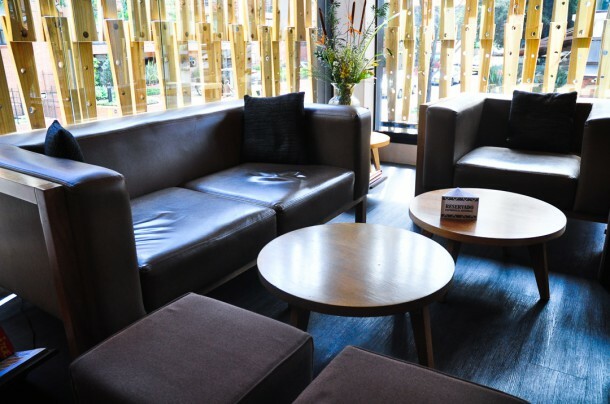 However, as coffee culture in the US and elsewhere has moved up market over the past decade, the brand hasn’t really followed suit — most of us probably associate it with grocery store coffee rather than high grade specialty cafe experiences. 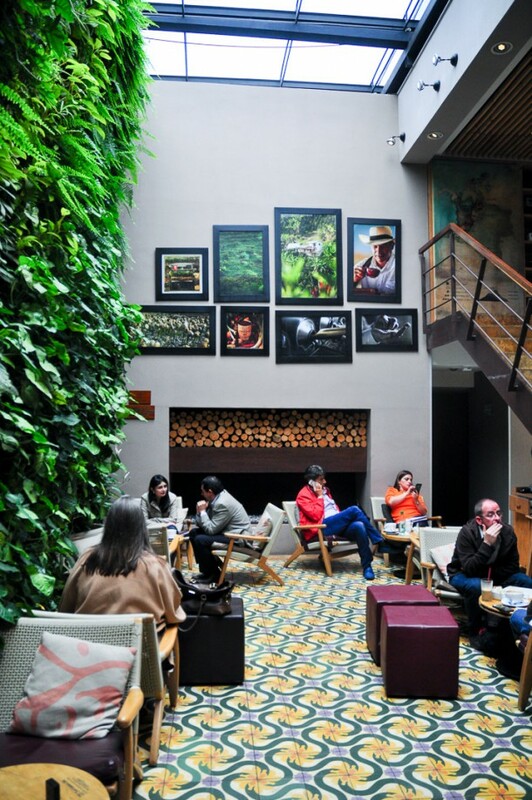 The Juan Valdez Café Orígenes seeks to change that. 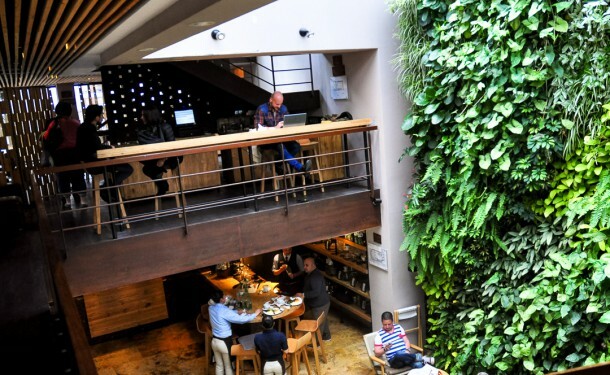 When I was in Colombia last year, I was treated to a tour and tasting at the flagship store in the Zona G (for ‘gourmet’) neighborhood of Bogotá, and I left quite impressed. 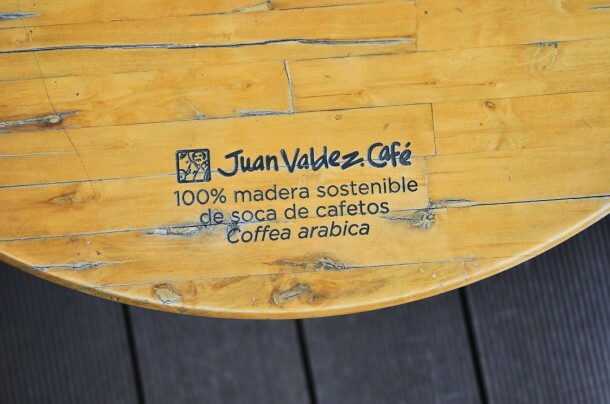 As an initiative of the FNC, over 18,000 farmers have invested in Juan Valdez Cafe as shareholders. Besides supporting farmers directly by buying Colombian coffee or providing a return on investment, a percentage of revenue from the cafes goes back to the FNC to help fund ongoing efforts to improve sustainability and productivity, address global warming, conduct research into disease and pest resistance, build local infrastructure like roads and schools, and much more (you can read more about what FNC does in an earlier post about Cenicafe). According to the Financial Times, over $22 million has been generated and put into these efforts. 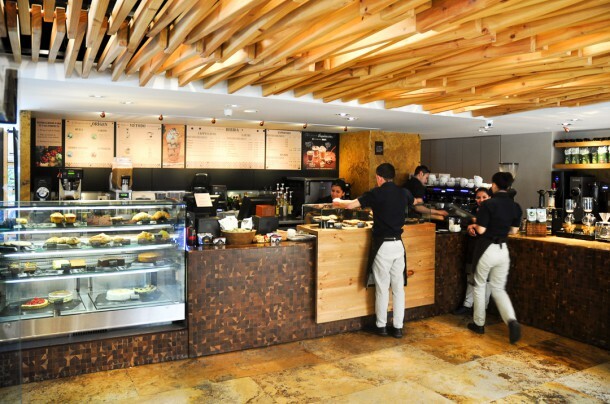 The “Orígenes” name designates a higher end flagship version of the Juan Valdez Cafe chain, and while its menu hits all the crowd pleasing favorites you’d expect at a cafe that seeks to compete with the likes of Starbucks, the menu is clearly driven by its unique relationship to Colombian farmers. 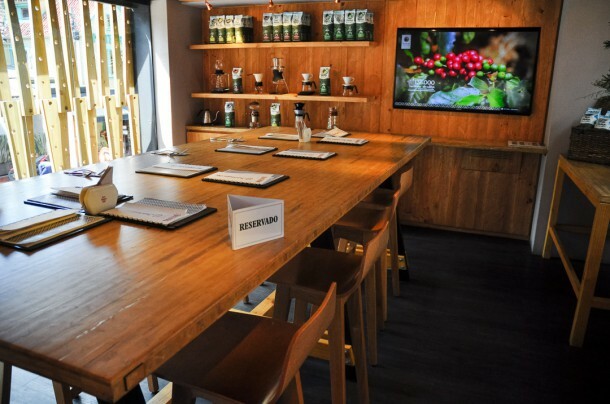 You’re first presented with a choice of major coffee growing regions within Colombia: Huila, Nariño, Sierra Nevada, Antioquia, along with generalized characteristics like aroma, acidity, body, and flavor. 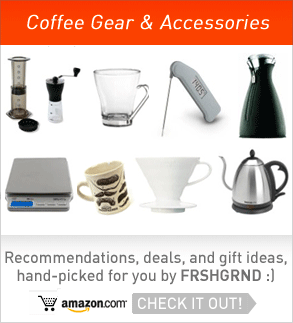 Next, you choose how you’d like the coffee brewed. Aside from the broad regional choices, I hear they also feature micro lots. I tried the Nariño and Huila coffees prepared at the slow bar in several ways, including syphon, V60, and cold brew. Each were well prepared, sweet and expressive of their regional flavor profiles. And did I mention the interior? 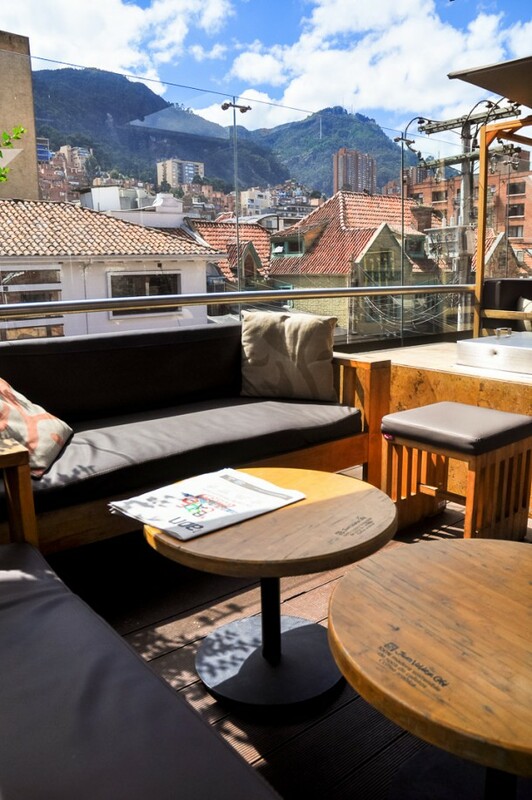 The design includes wood from coffee trees, an interior patio and green wall meant to evoke Colombian countryside homes, plus a second floor and rooftop terrace with a range of different seating arrangements. Overall, it’s an interesting approach that makes sense for a cafe chain owned by an organized body of farmers that can benefit from building consumer recognition of its national and regional brands, and suggests one potential model to improve equity and ownership across the supply chain — especially relevant amid discussions currently swirling in the coffee Twittersphere about intersectionality, and the relationship between those at the “last mile” of coffee consumption (roasters, cafes, baristas) and the producers in the developing world. 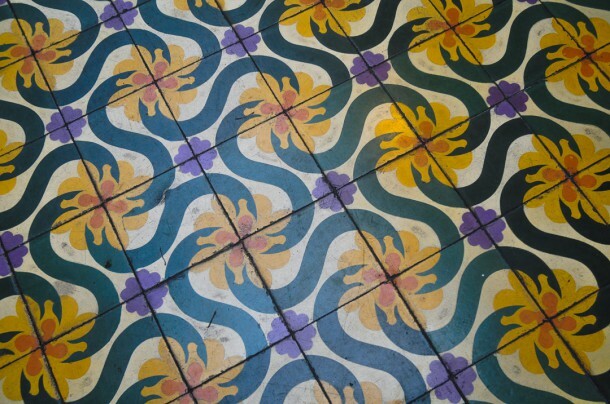 Colombia’s coffee farmers benefit from almost a century of foresight and investment in building the broad institutional infrastructure that enables a venture like Juan Valdez Cafe to exist. 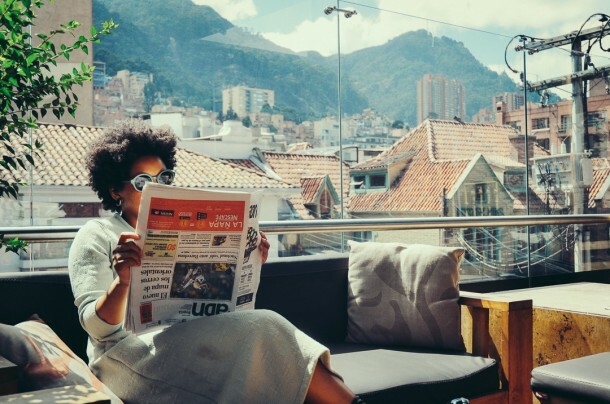 It remains to be seen whether and how other countries might pursue similar endeavors, and what sort of hybrid relationships might be possible as the specialty coffee industry continues to grow, evolve, and introspect upon its role in the welfare of everyone involved in the global coffee community. More photos and directions below. 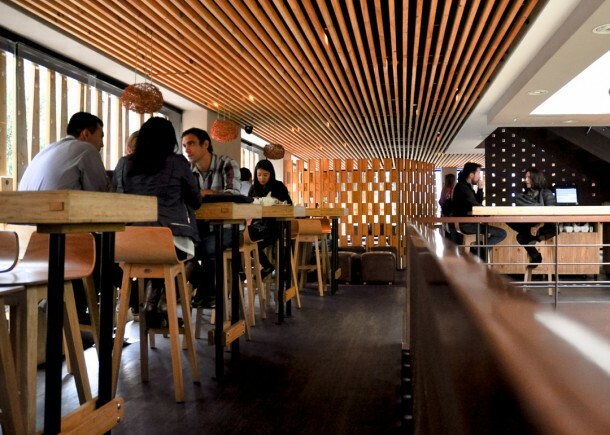 Above: Tables and other woodwork are made sustainably from retired coffee trees. 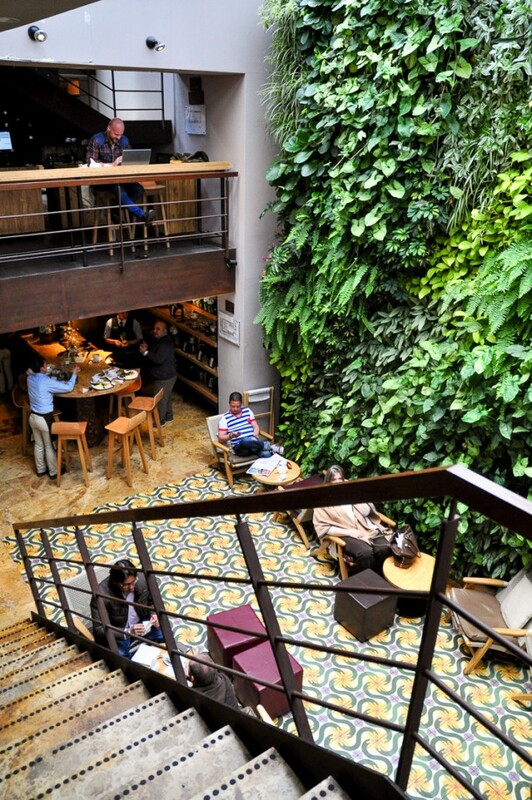 This looks like a beautiful cafe in Bogota. I have heard many stories about Juan Valdez, but never had the opportunity to visit. 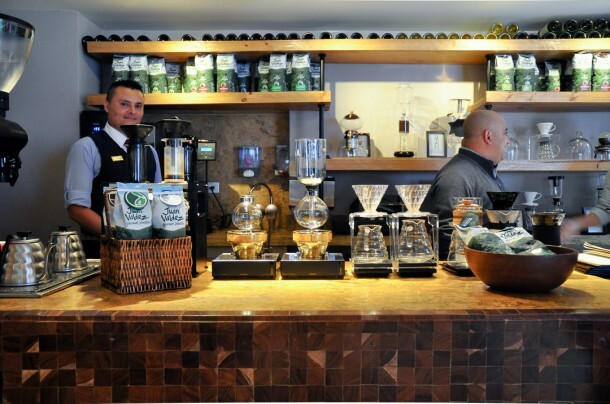 It’s great to see Colombians being able to finally enjoy coffee rather than only export it.